Claire and her team have enabled MWH to deliver better solutions to our clients. MWH Global, the premier solutions provider focused on water and natural resources, announced today that the company has received a second consecutive Award of Excellence from iCMG, a leading full service Enterprise & IT Architecture firm. This year’s award was given for the company’s Next Generation Network. iCMG recognizes that the MWH wide area network design effectively translates the company’s strategy to an enhanced service model. MWH was chosen from 170 competing companies, with the award selection based on the company’s ability to meet business goals and stakeholder expectations, leadership in decision making and contribution to the growth of the architecture discipline. Andy Kimura, global director of technical innovation, accepted the award on behalf of MWH. 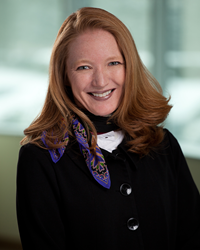 Claire Rutkowski, chief information officer of MWH Global, was also selected by iCMG as one of the Top 25 Global Business CIOs for 2015, for the second consecutive year. This award, the first of its kind that evaluates a CIO based on his or her leadership, recognized Rutkowski for her leadership on projects and initiatives that have a high degree of business influence and measurable results using IT architecture.